The call shook me. 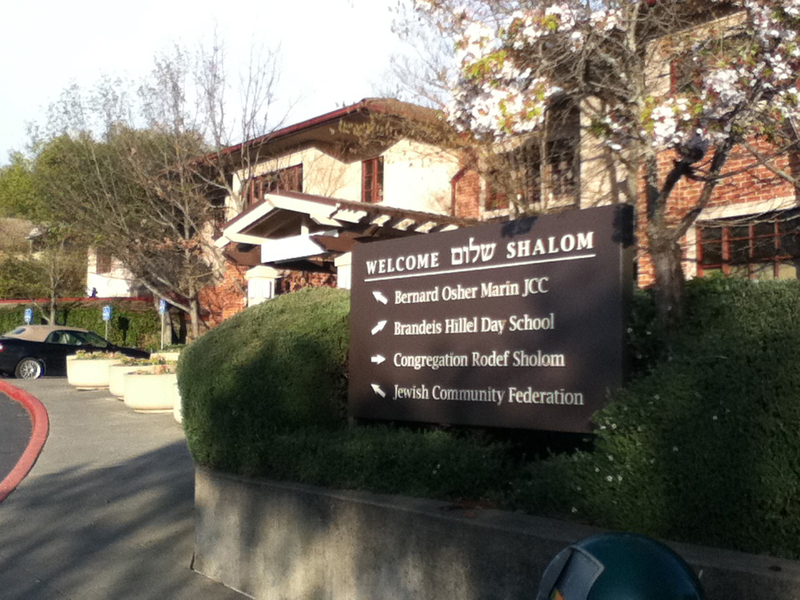 It was from our neighbors at Venetia Valley Elementary School, which is just across the street from the Osher Marin JCC, the Brandeis Marin day school and my synagogue, Congregation Rodef Shalom. 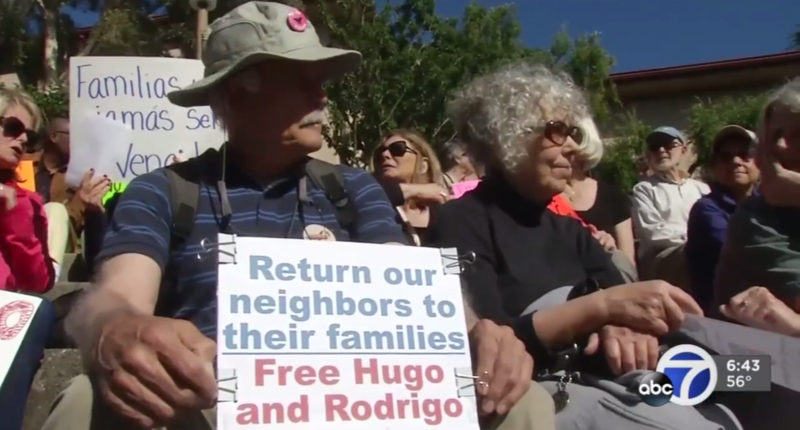 Hugo Mejia, an upstanding member of the San Rafael community and the father of three children who went to Venetia Valley, had been picked up by Immigrations and Customs Enforcement (ICE) and was in detention at a prison in Sacramento County. In previous years, Hugo, who is from Jalisco, Mexico, and his family had celebrated the harvest in our sukkah at Rodef Sholom, sharing their immigration story with us as we shared our stories with them. Hugo’s son has been an active volunteer with us in a homeless shelter program. Now, faced with the threat of deportation, Hugo’s family needed support from as broad a network as possible. Fortunately, Rodef Sholom was able to answer the call. Having worked in close partnership with the Venetia Valley school community for four years, we had developed a meaningful and mutual relationship as friends and neighbors. Then, in the months following the presidential election last November, we had expanded our conversation to include working together on defining “sanctuary,” all along praying that our plans would remain theoretical. Through these talks, Rodef Sholom had determined that we would put a couple of Jewish values — loving our neighbor and welcoming the stranger — into action by declaring ourselves a sanctuary congregation. When we heard about Hugo’s situation, our whole community responded with a resounding “Yes!” to assisting with advocacy efforts, family accompaniment and other aspects of support. We put out the call out that help was needed, activated our relationships with key government officials, helped the school collect more than 200 letters and 1,500 signatures of support to give to ICE on Hugo’s behalf. And all of that happened in only two days! 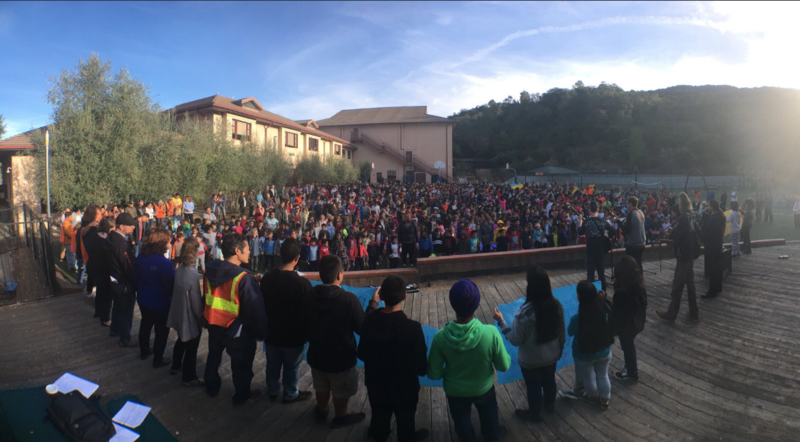 We also helped Venetia Valley organize a rally at our congregation that ended up drawing 500 people. This drew vital attention to Hugo’s case. Now working in a coalition that includes the California Immigrant Youth Justice Alliance, the International Union of Painters and Allied Trades, the California Immigrant Policy Center and many others, Rodef Sholom is determined to maintain our support for Hugo and his family. Hugo’s family’s hope that America could be a refuge from poverty and oppression — a land of opportunity where they could work hard and make a better life for their children — is the same hope that brought my great-grandparents here. My life now as a rabbi in California is proof of this American promise, and I refuse to believe that promise has an expiration date. But a vision of America that is big-hearted enough for all, open to immigrants’ contributions and not made smaller and meaner by fear, has to be actively pursued. That’s why we will be in Sacramento on Tuesday, Aug. 22, along with congregations from across the state, as part of Reform CA Lobby Day, a project of the Religious Action Center of Reform Judaism. Our citizen lobbyists will be meeting with legislators, including Senate President Pro Tem Kevin de León, to discuss 11 bills addressing five issues — including Senate Bill 54, the California Values Act. Introduced by de León, SB 54 would prevent the kind of compliance between state/local authorities and ICE that led to Hugo’s detention. In lobbying for its passage, we see it as a brit olam, a covenant for the world. The bill, which the state Senate passed in April, is now coming up for consideration by the Assembly. Opponents of SB 54 try to argue that our communities are safer when immigrants like Hugo are arrested and deported. Who are they talking about when they say “our”? 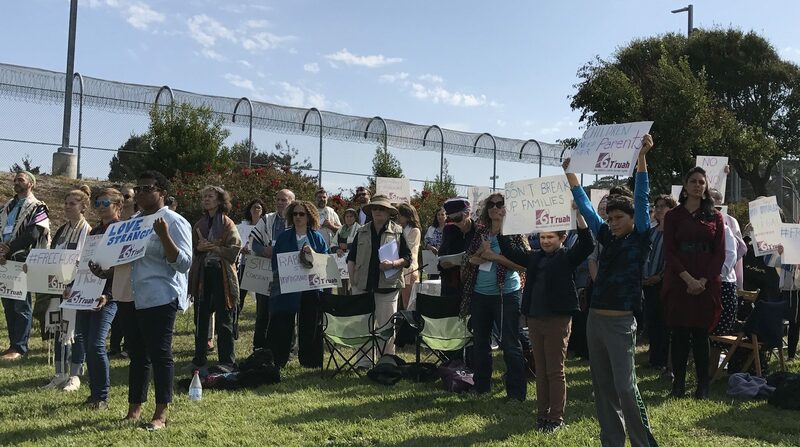 My Jewish community in Marin, the Venetia Valley school community and the broader community of San Rafael are not safer when parents and neighbors are taken away. On the contrary, we are diminished in the eyes of our own children and Hugo’s children, who can see the obvious injustice of tearing apart families and arresting people as they go to work, take their children to school or appear as a witness in court. How can I be proud to teach the children in my congregation what America and Judaism stand for unless we stand up for Hugo — a good person who has no criminal record, though he does admit coming to this country illegally — and all those who fear his situation could become their own? That’s why I am fighting with Reform CA for SB 54, and for Hugo and his family. As a Jew, I believe it is my heritage and my duty. 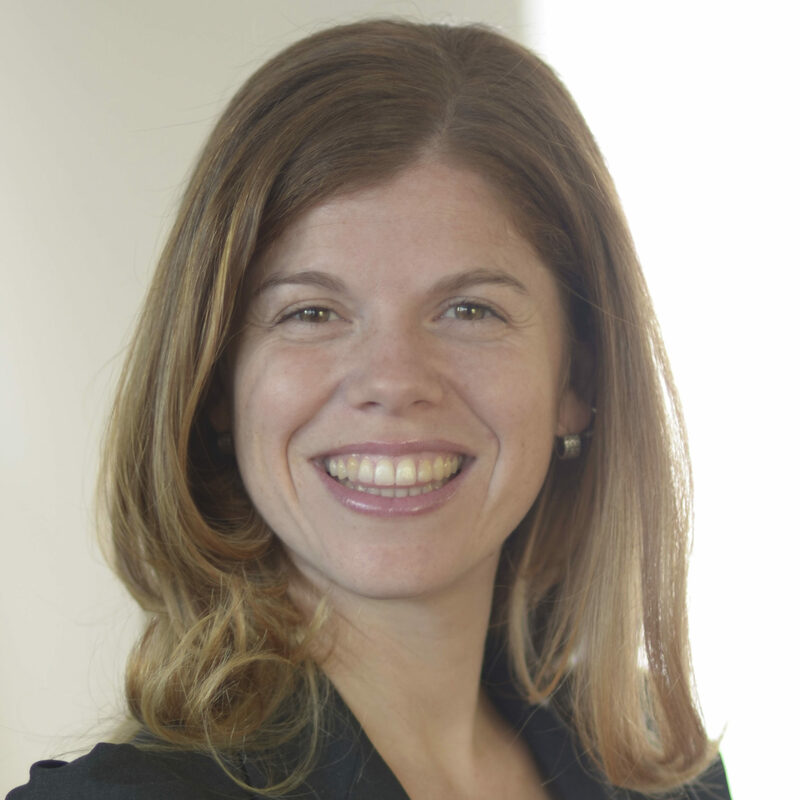 Rabbi-Cantor Elana Rosen-Brown serves Congregation Rodef Sholom in San Rafael.